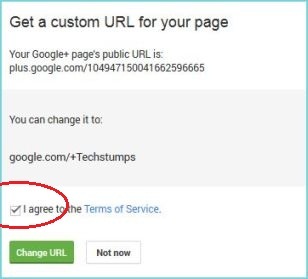 Google rolled out custom URL (vanity URL) feature to Google Plus profiles and pages. Google Plus profiles have long numbers in URLs, which is hard to remember and sharing with others. 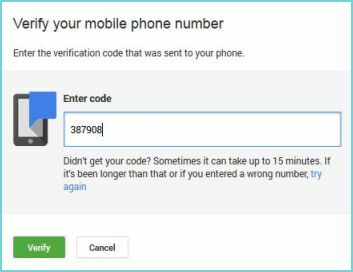 Before this feature only available for famous people, Google employees and other special users. So all of the users were used third party services like GPlus.to to shorten their page URLs. Now anyone can get short and custom URL for your pages and profiles too. How to Get Custom URL for your Google Plus Profile? Your profile must have a photo, minimum 10 followers and your account age is more than 30 days. 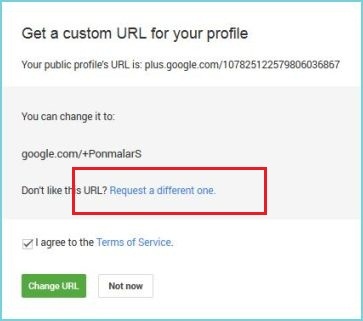 These are the requirements for setting a custom URL for your Google+ profile. 1. Go to About tab of your profile and you will see the message “Your profile is preapproved for the custom URL: google.com/+PonmalarS” on top of the page. Alternatively you can get it from Links section. Click on “Get URL” button. 3. Click on Change URL and Confirm Choice buttons. Now I got phone verification code in my Phone and entered the code to verify this process. I think that happened because of using two-way security for my Google account. After verifying process, I got my Google+ profile custom URL : google.com/+PonmalarS. I was tried to simplify my name, but I can’t get one. So hurry up and get your Custom URL before anyone claims it. How to Get Custom URL for Google+ Pages? Your page should have linked with with your website or blog. So add your site link in your Google+ Page and add a badge to your site. Google is providing pre-assigned Custom URLs based on the site’s URL, so blogspot users may get the URL ending with “Blogspot”. And you cannot change this later. If you don’t want this URL, you have to wait for some time for more options. 1. Go to your Google+ page and make sure you are using Google+ as your page. 2. You can see the message “Your page is preapproved for the custom URL: google.com/+Techstumps” on the top of the page. 3. Click on “Get URL” button and tick the checkbox near “I agree to the terms of service” on the next window. 4. Click on “Change URL” and “Confirm Choice” buttons. That’s it. My site got the Custom URL: google.com/+Techstumps. If you don’t see the above message yet, don’t worry. Google is rolling out this feature for all users within this week. 5. How to Create Google Plus Badge for your Blog? I havent received the message yet... still waiting.